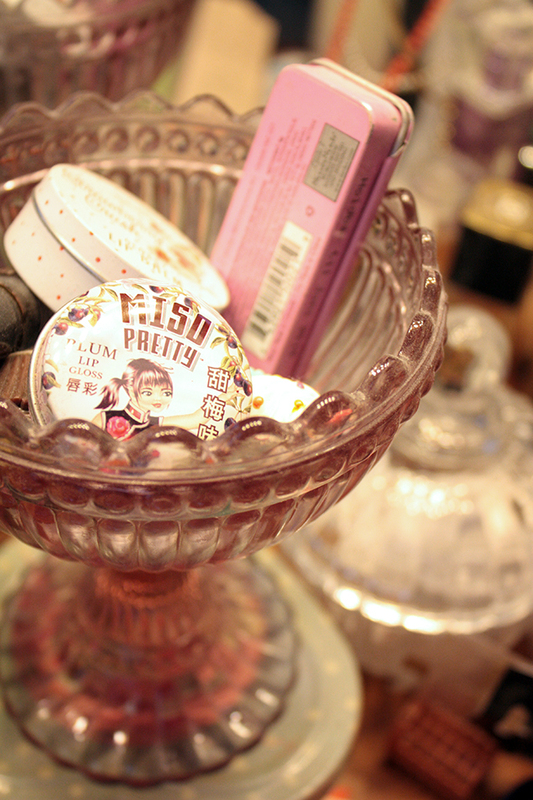 Was dusting off my make up table (guess how many times per month year I actually do my make up by that table? Hah! 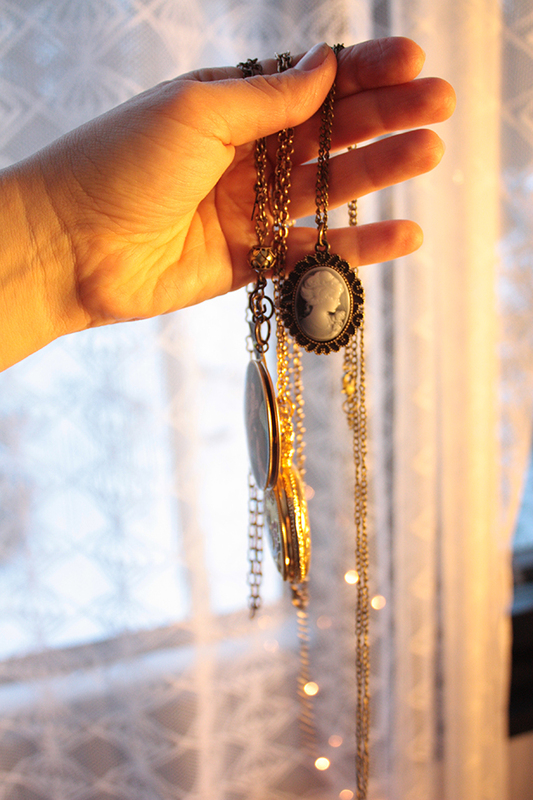 Too few...) and spotted my pendants I have lying in a big sea shell. I like to gather pretty things around me but once I place them out all nice to admire I tend to leave them as they are and forget to wear them. 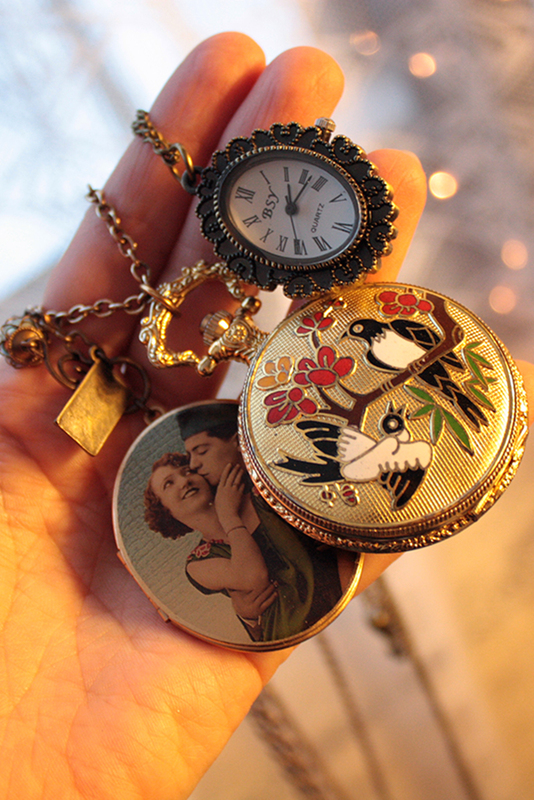 The enamel locket is from etsy, the gold bird locket has a no-longer-working-watch inside and is via ModCloth, and the camée clock was a gift from Ina. I've decided to try and get better wearing my jewelry (- I started last week already wearing a frame necklace I had forgotten about for the past years). My jewelry drawer is another story, though! I hardly dig through it. I don't even wear my wedding ring and engagement band on a regular basis. Those pendants are magical! I tend to forgot some beautiful jewelry, sometimes I find a pretty necklace from my jewelry box and think: "gosh how pretty, didn't even remember I had this:D"